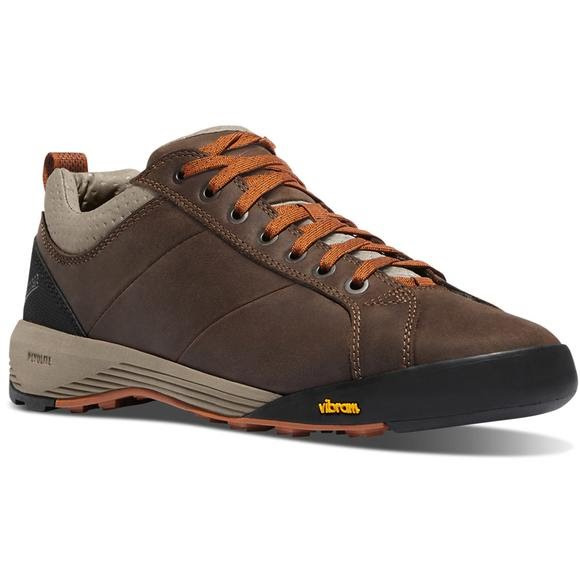 Leveraging technology from some of their most popular hikers, Danner's Camp Sherman combines a durable full-grain leather upper with a Danner Plyolite rubberized midsole and Vibram Approach outsole to create a lightweight trail hiker that doesnâ€™t compromise on durability and traction. Leveraging technology from some of their most popular hikers, Danner &apos;s Camp Sherman combines a durable full-grain leather upper with a Danner Plyolite rubberized midsole and Vibram Approach outsole to create a lightweight trail hiker that doesnâ€™t compromise on durability and traction. The VibramÂ® Approach outsole balances with multi-directional lugs for extra traction and surface contact.